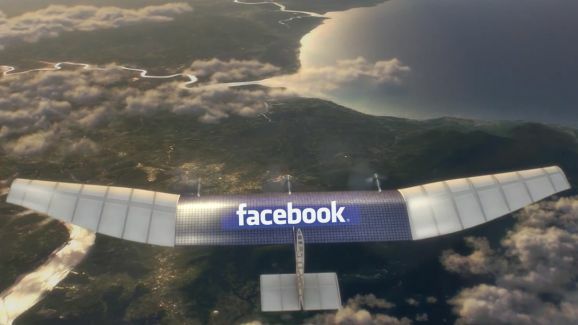 (P1) Facebook’s solar-powered drone completed its first successful test flight. The drone flew at a few thousand feet for 96 minutes in Arizona. (P2) The company hopes that the drone will help to get the internet to every corner of the planet. The company hopes to have many of these drones that can fly for at least 3 months without stopping and deliver internet access to people. (P3) The company wants to make the drone lighter so it can fly for longer periods. It hopes it will soon break the world record for the longest solar-powered unmanned flight, which is currently at 2 weeks. Do you think Facebook will put internet access everywhere in the world? Do you think drones could be used in bad ways? Why or why not? Would you like to own a drone? Why or why not? How much time was the drone in the air? Where does Facebook want to put the internet? What does Facebook want to do to the drone so it can fly longer? Who is the pilot of the drone?